Shapes are one of the earliest mathematical skills that kids learn about and there are a whole load of fun and interesting games and activities out there on the Internet. We’ve been looking at shapes a lot recently and we’ve done a few fun activities. A lot of the shape activities I found can be done by using bits and pieces from around the house and are really simple to put together. 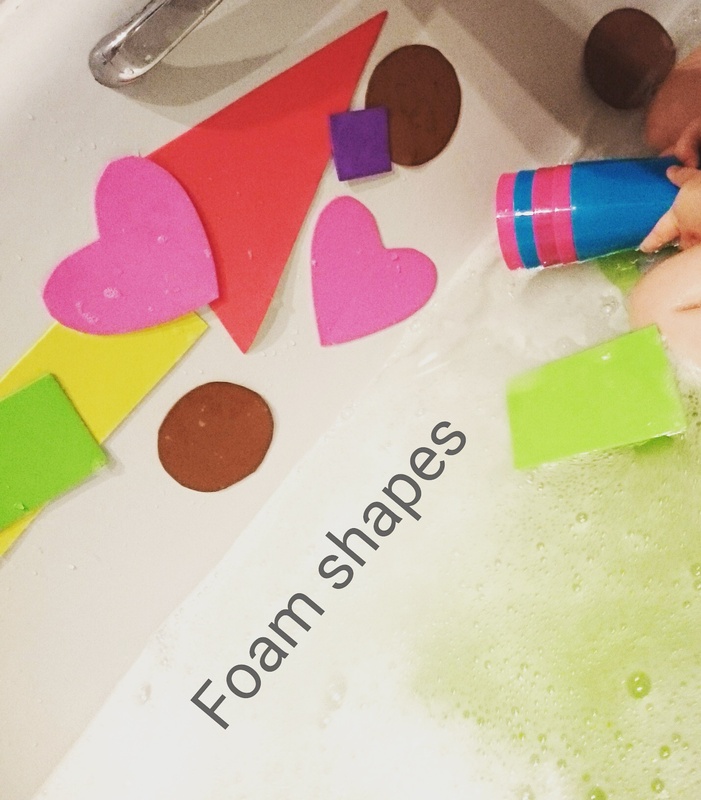 Foam shapes – this one went down really well with little bee! the shapes have been going for a good few weeks and he’s still interested and enjoying using them. 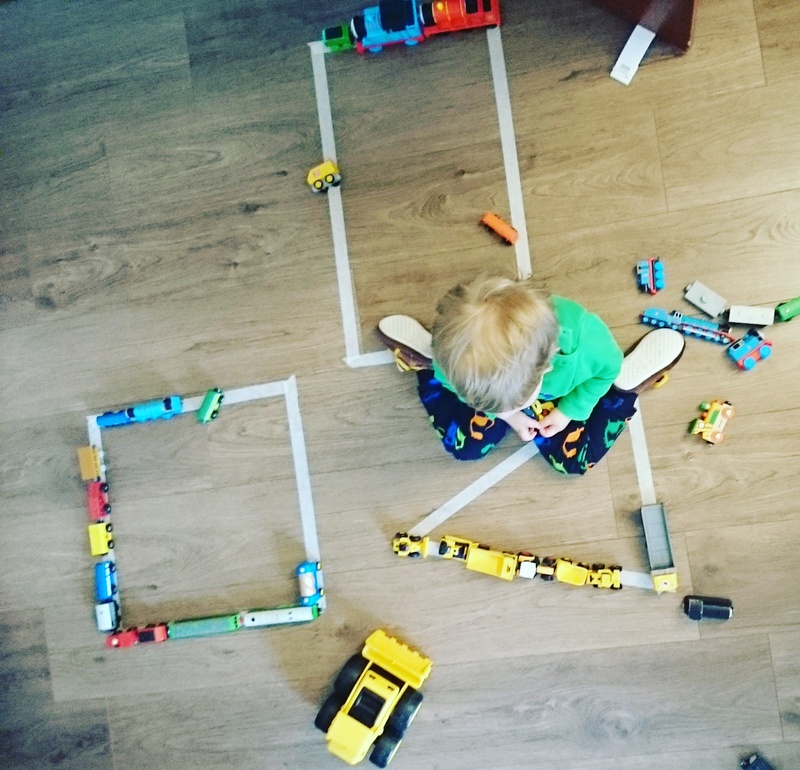 Masking tape shapes – He enjoyed this activity for a little but quickly got bored with it. He was able to identify the simple shapes though. 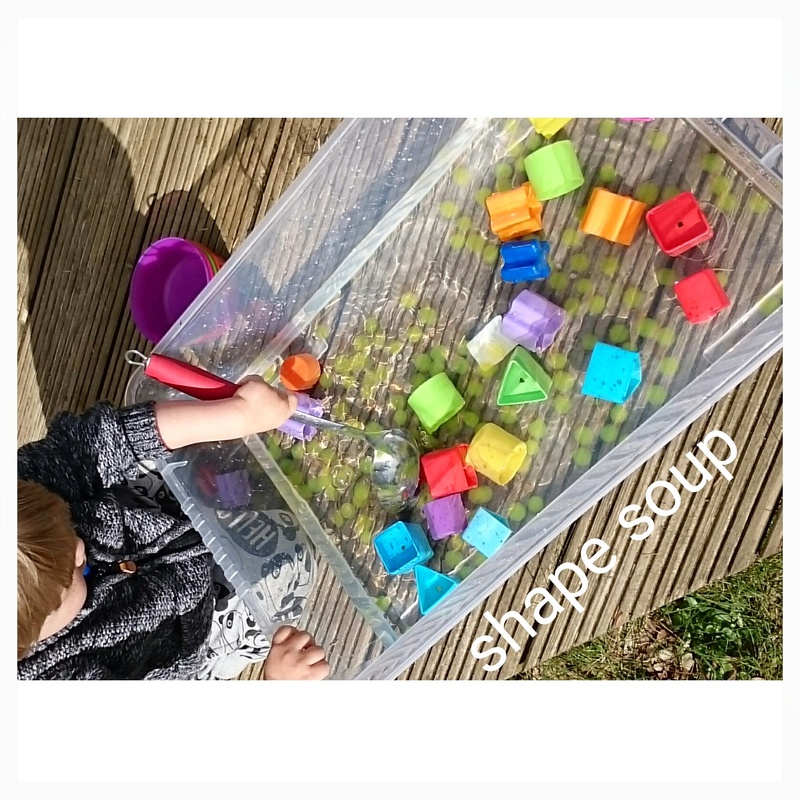 Shape soup – this was really simple! I just threw some water beads and the shapes from little bee’s shape sorter into a box of water and gave him some bowls and a ladle and he had a ball.. mostly emptying the water out onto the grass! Shape snacks – Its really easy to use shape cutters to cut out breads and throw together a shape snack.